A Mabe pearl is a composite cultured blister pearl, a large half pearl of glorious nacre that is popularly used for making pearl pendants and pearl earrings. 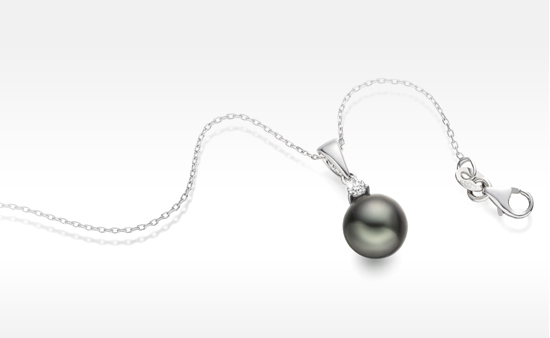 The Chinese are considered to be the true inventors of the blister pearl, which is a type of cultured pearl. The earliest finds in China of a nacreous layer of pearl grown around a lead image of Buddha have been dated to as far back as the 12th century. Mabe pearls became better known in the 1950s as an affordable and fashionable way to wear large pearls, for the white South Sea cultured pearls that we have today were widely unavailable. Japanese companies started to produce blister pearls on the Ryukyu Islands between Japan and Taiwan. The word Mabe possibly comes from an old dialect spoken on those islands. 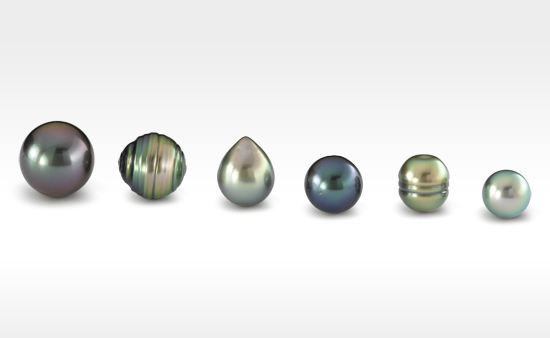 Today Mabe pearls are still produced in Japan and China, but also in Indonesia, the Philippines, Thailand and French Polynesia. Using an adaptation of the process for culturing pearls, a rounded or shaped nucleus is glued onto the inside of the shell of a nacre-producing mollusc. 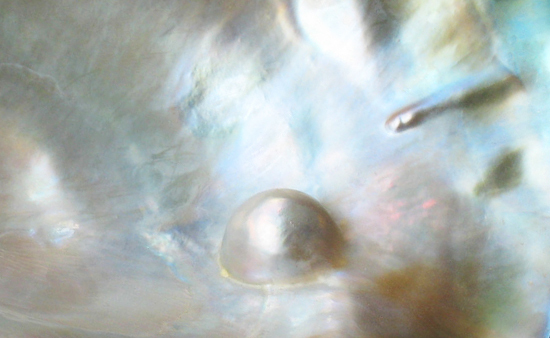 Nacre is the iridescent organic substance that gives pearls their unique properties. The mollusc covers the nucleus as shown in the image above and, after up to two to three years of culturing, the Mabe blister pearls are cut from the shell. The nucleus is removed and the resulting space is filled with resin, or sometimes a bead, and the back of the pearl is sealed with a piece of mother of pearl. The final result should be a beautiful silky pearl of between 12 and 25mm in size. Mabe pearls are often associated with a traditional style of round pearl earring such as those seen in Meryl's Streep's publicity images for the film 'The Iron Lady'. They are also used by designers to make imaginative pieces of distinctive and contemporary pearl jewellery, with their colour and inexpensive sizes being two major factors in their continuing popularity.